Shepherd Offshore supply fabrications and multi-skilled labour to the Oil and Gas, Subsea, Renewable Energy, Power Generation, Construction and general Engineering industries. We look to integrate throughout client supply chains working to our clients’ requirements & standards, while providing flexible added value at every stage. We provide a full turnkey, quality engineering service – from initial design, manufacturing, fabrication and installation, through to final commissioning. We offer a full range of fabrication services and labour support, including bespoke work, to meet your specific project requirements. Whether you’re looking for bespoke support fabrications, equipment, design solutions, sea fastening, lashing and securing for your cargo, equipment in transit or the mobilisation or demobilisation of a vessel – our engineering team is on hand to help you. Our teams work to meet all requirements and the highest of standards, integrating their skills and experience throughout our client’s supply chains. Our highly skilled and versatile workforce has over 40 years’ experience, and is supported by our management systems – ISO 9001 and 18001. With our waterside facilities and internal capacity, we have the ability to deliver immediately. Our two waterside facilities on the North Bank of the River Tyne support any design and fabrication work required during your vessel’s mobilisations. With their adjacent heavy lift capacity and vast capability in materials handling they provide immediate added value. With deep-water layby berths and a 217m dry dock, Shepherd Offshore has both the capability and capacity for heavy engineering projects across industries. With over 1500m of quay frontage, supported by 80 acres of adjacent infrastructure, Shepherd Offshore has the ability to offer a complete load out and mobilisation or demobilisation service for your vessel, at either facility. Our versatile teams work to industry-leading standards and requirements to ensure immediate added value, optimising every moment of your project. We have conducted over 3,000 mobilisations and demobilisations as a company, providing essential support. We work directly for many leading global companies, providing essential support services from project support, to deck modification, to sea fastenings, to critical product support, to the removal and releasing of equipment. 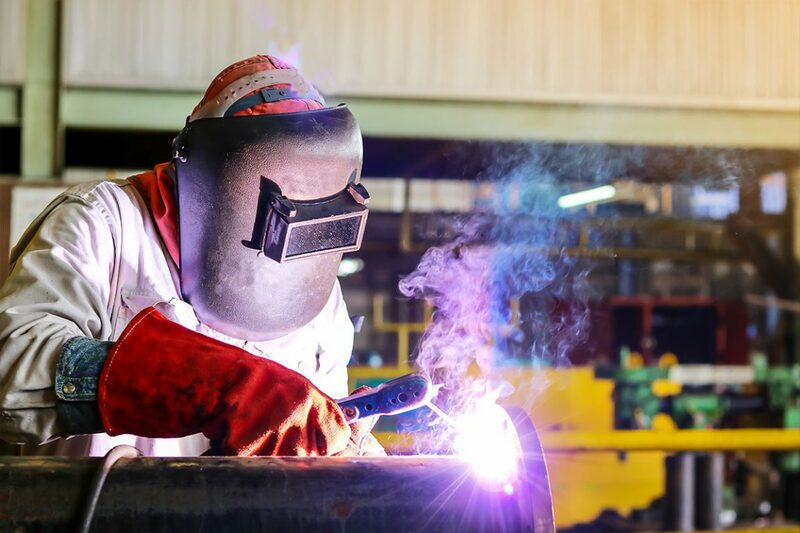 Our fully coded welding team specialise in material-securing systems and product engineering solutions, ensuring the safe and efficient transport of your cargo throughout the world. We construct a wide variety of fabrications to suit individual requirements. Working closely with global companies, we’re experts in providing quality service – from lightweight structural steelwork, to major installation reel repairs. Our engineering team undertakes a number of large and small projects throughout the year. We integrate strategically into each client’s supply chain, either at the start of the repairing reel process, fabricating furniture to support product packaging or preparation in the final packaging or packing of reels. We assist visiting subsea support and cargo vessels with a wide range of repairs and modifications, from broken handrails to deck modifications and the fitting of hardware. Our fully coded welders/fabricators and vessel teams provide a complete lashing and securing service, with the application of approved systems for sea crossings. We cater to even the most complex loads and cargo. Our fully qualified coded welders and fabrication personnel work to the highest standards supported by our ISO Management Systems. We take pride in providing a high-quality, competitive engineering service that helps you meet your project targets and timeframe. Shepherd Offshore is focused on delivering work to the highest of standards with rigorous internal and external audit programs. Our OSHAS 18001 and ISO 14001 management systems ensure compliance with client standards and applicable laws and regulations to promote our continual improvement and growth. For more information or to discuss your engineering needs, speak to our project management team. Call us on +44 (0)191 262 9614 or email headoffice@shepherdoffshore.com.